St. Louis stark black doom troupe, THE LION'S DAUGHTER, recently completed a video for "Swann." Directed by Brain Cummings, produced by Adam Taylor with art direction by Josh Rowan, the strikingly grim eight-plus minute production is loosely centered around news stories of those mentally ill who've been locked up and sentenced to death. Elaborates vocalist/guitarist Rick Giordano, "Imagine trying to make sense of being kept in a cell by people who intend to kill you when you can't even understand what it is you've done wrong. Working with Josh -- who did the album artwork -- and Brain, we wanted to try and capture this isolation and confusion as simply as possible by contrasting footage of a cold, dark enclosure with a free, wandering eye which is outside and unrestrained. Whether these images are dreams, memories, or a reality is left unclear, just as it might be in that person's mind." Peer into the loneliness of "Swann," now playing at Revolver RIGHT HERE. 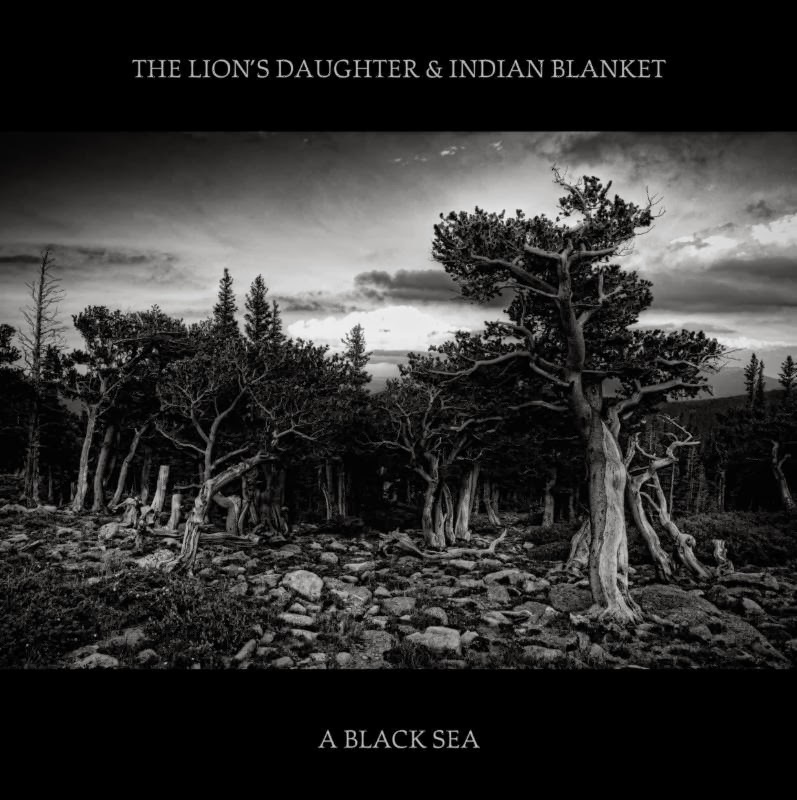 "Swann" comes by way of the THE LION'S DAUGHTER's latest long player, A Black Sea, which finds the band in a joint collaboration with somber folk ensemble/fellow St. Louis inhabitants, Indian Blanket. Crowned, "...absolutely punishing," by The Riverfront Times who lists THE LION'S DAUGHTER among their St. Louis Bands To Watch In 2014, A Black Sea continues to reap underground accolades from fans and critics alike for its varying textures and disquieting atmosphere. The Sludgelord notes, "The entire album makes the listener feel as if they were on an epic and harrowing adventure. The two bands clearly experimented in creating musical landscapes, and this is a complete success," No Clean Singing relays, "Both Indian Blanket and THE LION'S DAUGHTER carry a versatile array of styles, and employ every one of them on this album. As a result, even though the overriding mood stays bleak, the album winds from churning sludge to delicate acoustic passages - it feels every bit like a journey across the titular sea, or into the foreboding, prehistoric forest depicted on the cover," while Exclaim! commends the offering pointing out that, "Acoustic ballads and instrumental tracks by Indian Blanket provide various intermissions to the otherwise unrestrained rage and power of THE LION'S DAUGHTER's particular blend of extreme metal. Neither of these two distinguished sounds dominates the other, as the bands maintain an impeccable balance throughout the release." Last Rites agrees, "Progressive sludge may have the momentum of molasses, but it gets extra sweet when it fully melds with folk sensibilities." Adds Metal Temple in a perfect 10/10 rating, "It's more than just a fusion of two obviously good bands (that I've never heard of), but a fusion of genres and styles I never thought possible. Strings, screams, banjos, chugging guitar riffs, soulful vocals.... It has everything. I don't know what THE LION'S DAUGHTER or Indian Blanket were doing before they created this masterpiece, and frankly I don't care. Both of those bands should merge permanently and continue to make epic songs like the eight on A Black Sea." Forged in 2007, THE LION'S DAUGHTER was born out of a hatred for the insincere and uninspired cookie-cutter fodder of mainstream metal scene has become. They take notes from black metal and doom, but live by no musical limitations and are driven to please no audience but themselves with their most recent work serving as a prime example of their play-to-please-no-one credo. Previous releases include two self-released EPs, a 12" split with Fister (Hands Up Records, 2011), and the full lengthShame On Us All (Pissfork, 2012), which Cvlt Nation described as a, "hard-hitting blast of bruising riffs that will surely leave you drained from start to finish." A Black Sea, is officially available via the Good Die Young Music webstore. This LP is a two-hundred-fifty pressing with fifty limited edition, all white pressings available and includes a digital download of the album with a bonus track, "Moonshiner." Order your copy HERE. And if you missed it, sample "Gods Much More Terrible," still streaming at Decibel HERE, as well as "Wolves," currently available at Cvlt Nation at THIS LOCATION.